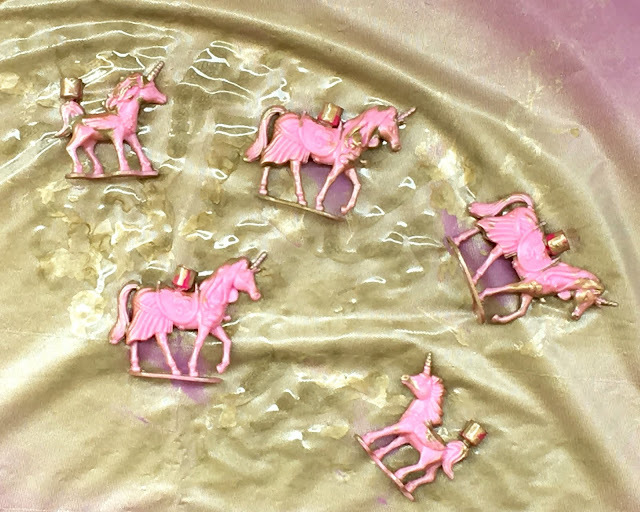 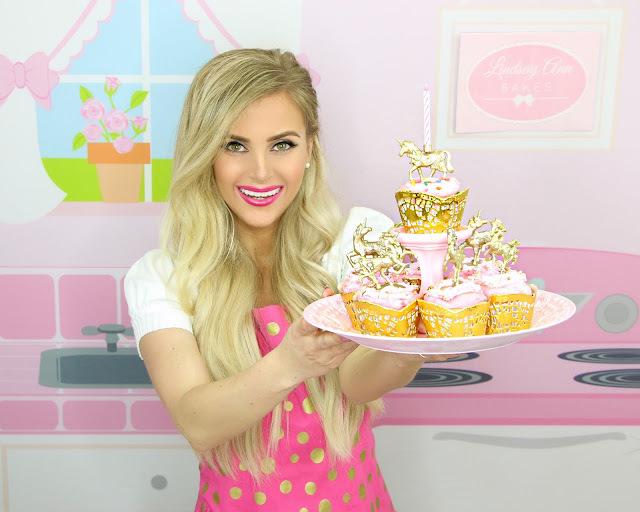 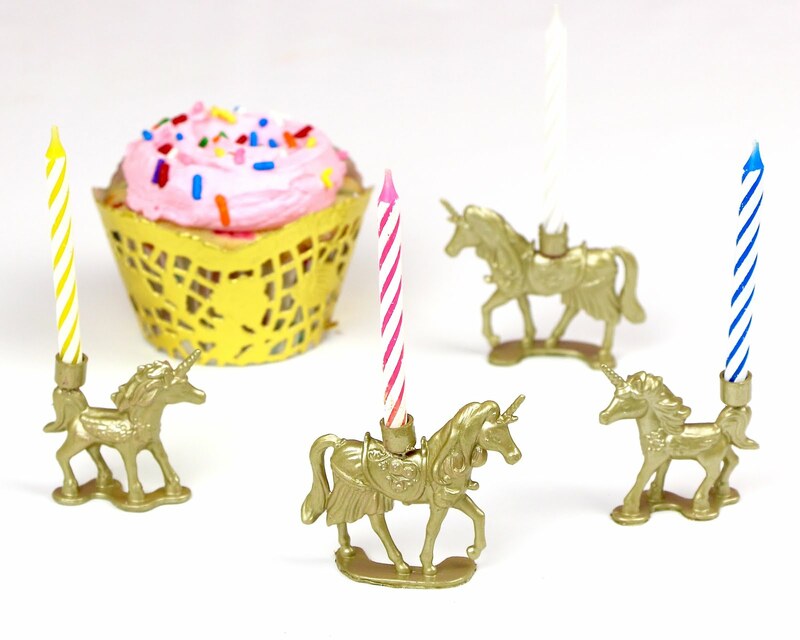 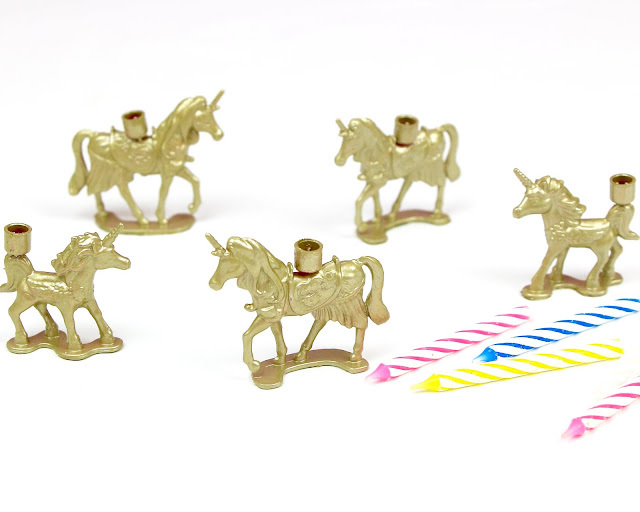 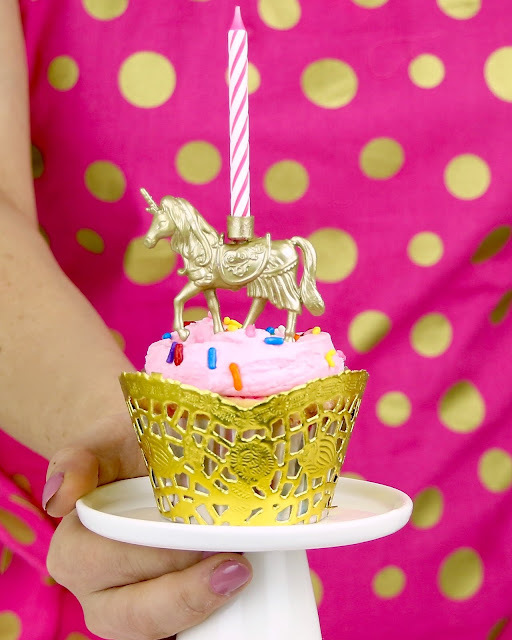 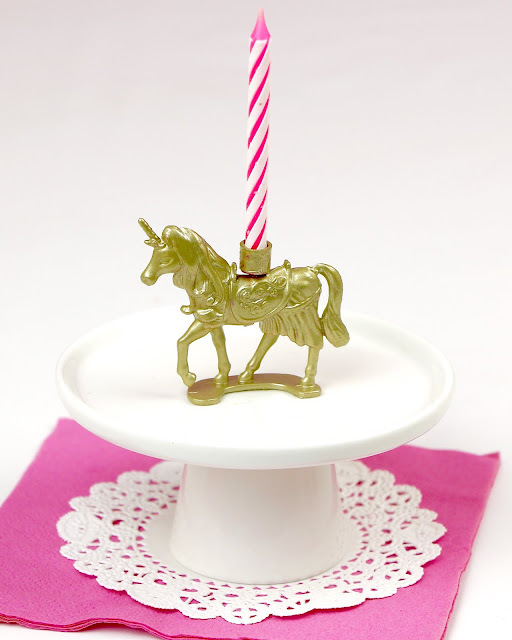 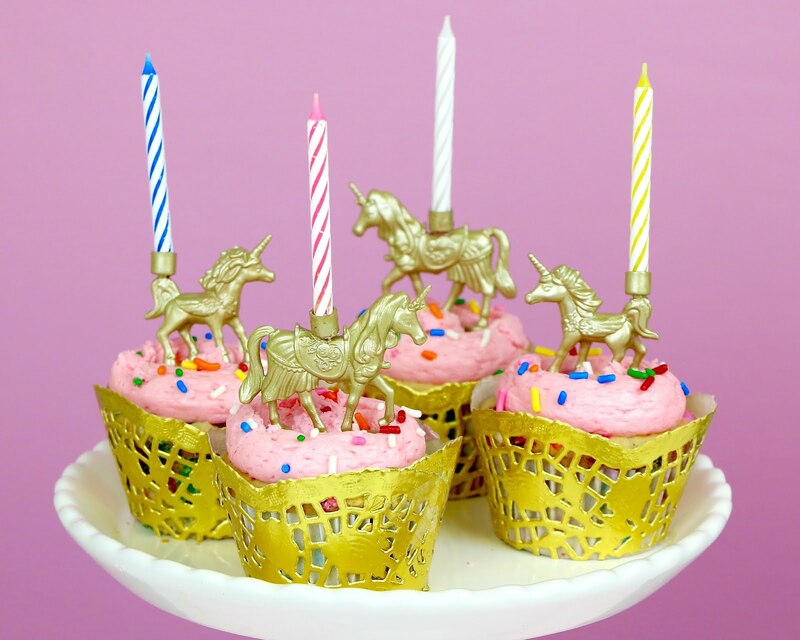 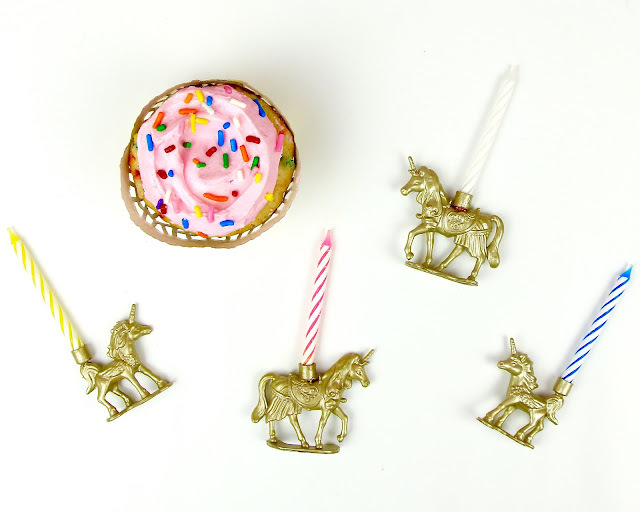 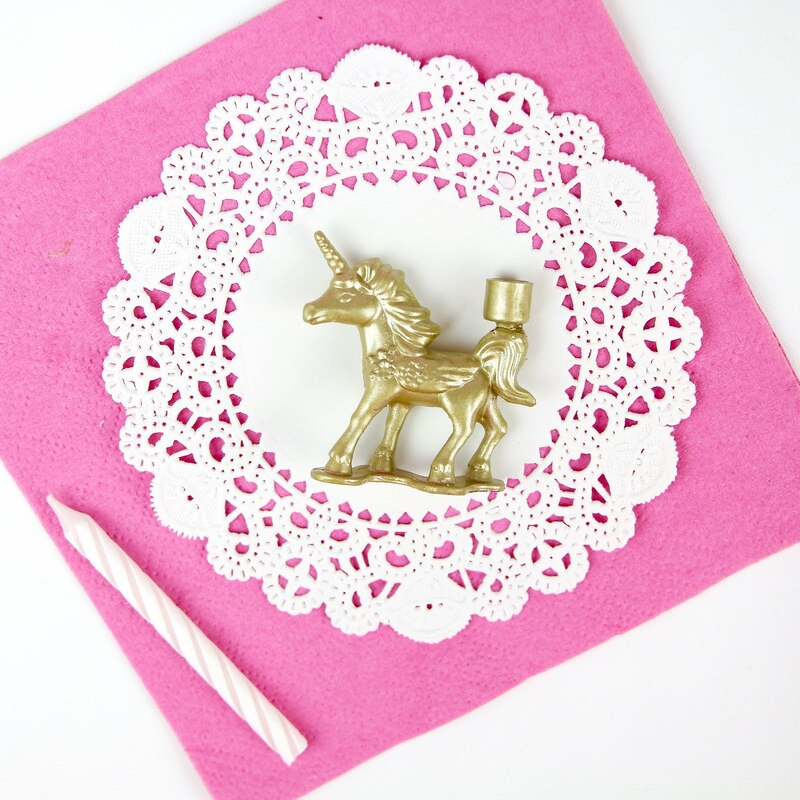 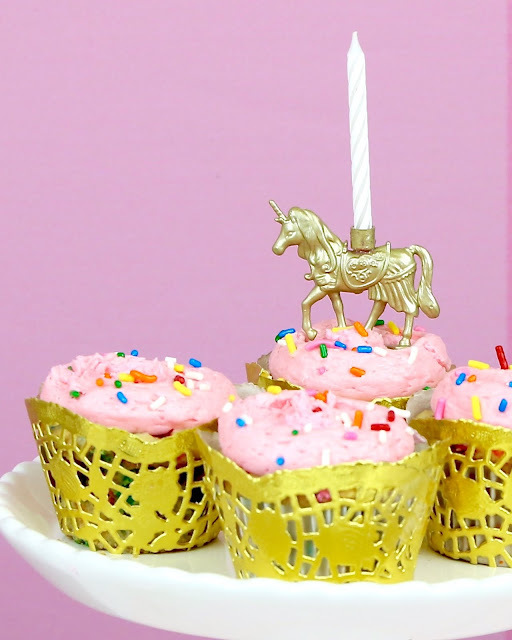 An easy DIY craft for making whimsical little gold unicorns, to add an extra magical touch to your cupcakes or cakes! 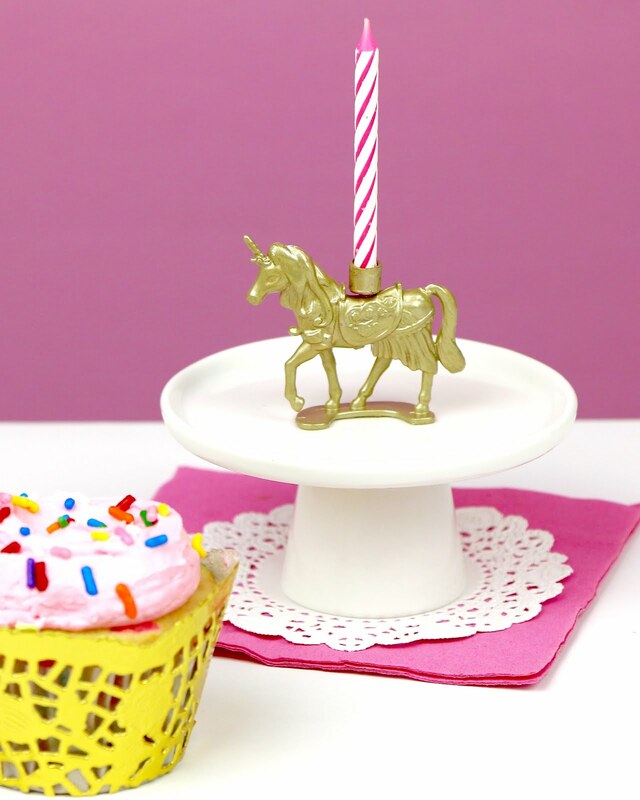 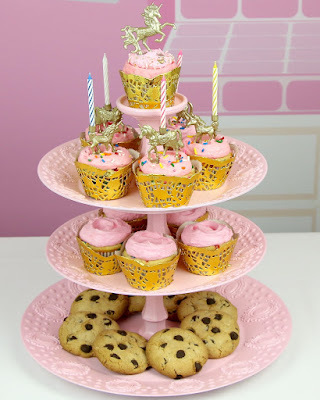 Even add a candle holder on top, for the perfect way to make birthday wishes come true. 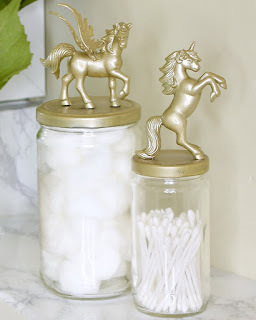 These are so easy to make, but are totally impressive! 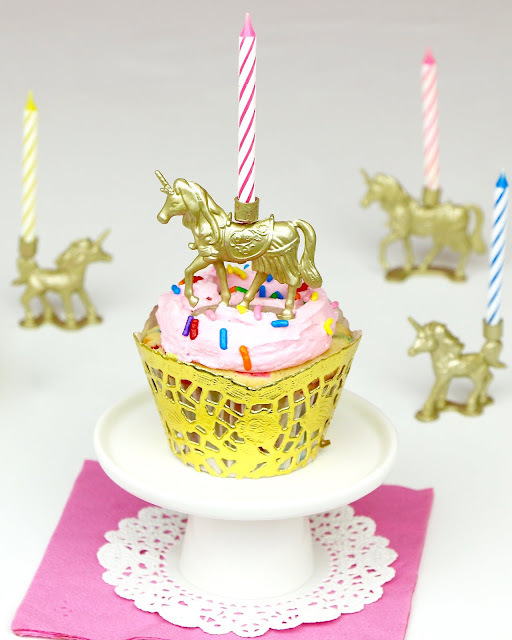 Gold animal figures are so trendy lately, so I thought they would make the perfect inspiration for an adorable cupcake topper. 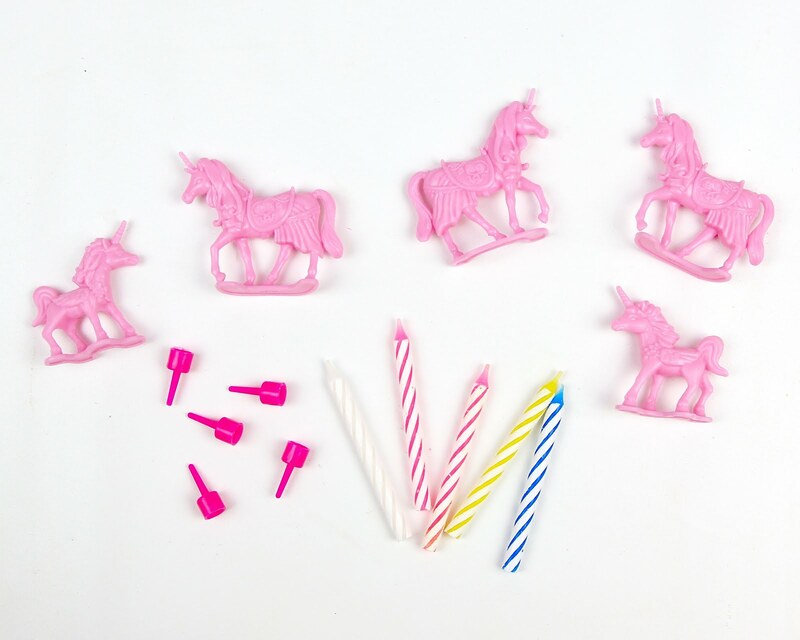 You can really do this with any plastic animal you choose. I spray painted unicorns that I bought online, but you can pick up inexpensive ones at most 99c/dollar stores, too! 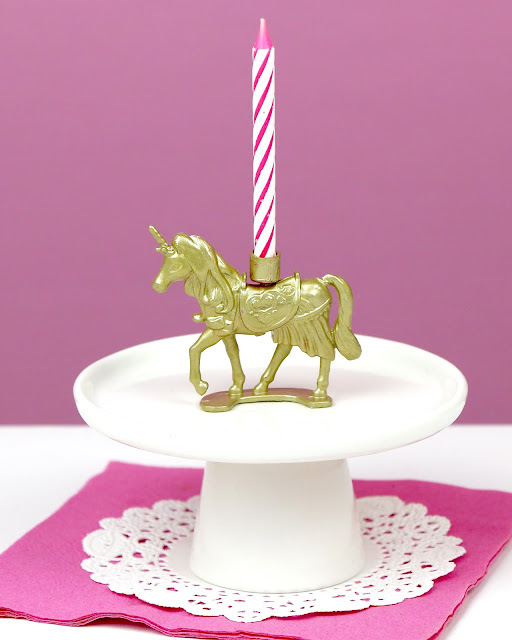 I used the small unicorns for this project, but you can get the big ones if you are using it for a cake topper. 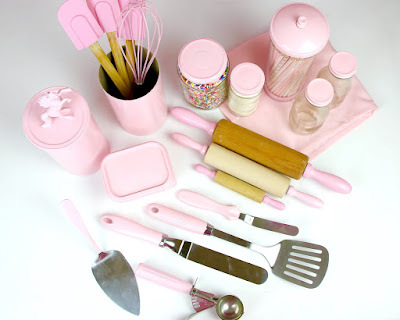 Either way, these totally transform even store bought cakes or cupcakes, into extra fancy, magical little dessert. I topped my homemade vanilla cupcakes with the gold unicorn cupcake toppers and my funfetti cupcakes with the birthday candle unicorns. 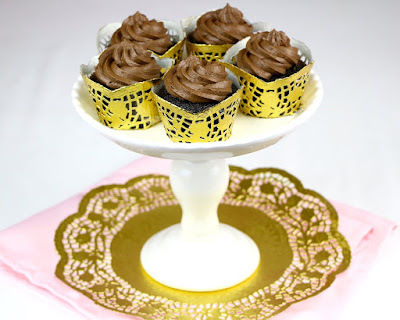 I paired them both with my DIY doily cupcake wrappers, to give them an extra touch of gold, because there is no such thing as too much golden glam on a cupcake. 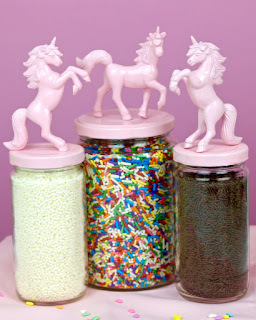 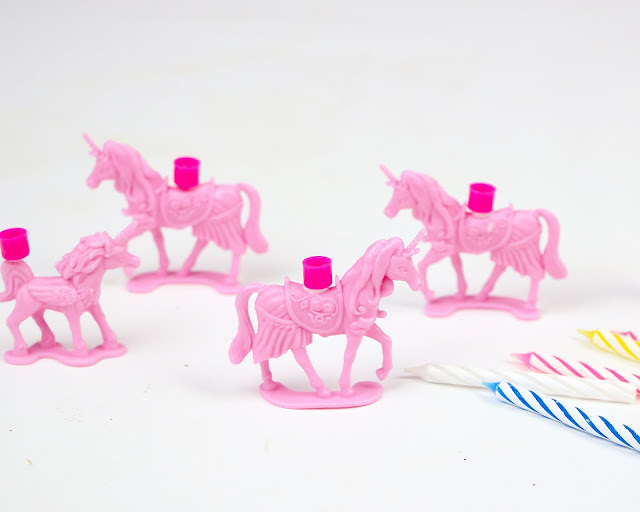 CUPCAKE TOPPERS: Coat unicorns with spray paint, in any color you like, let dry and use as toppers. CANDLE HOLDERS: For the candle holders, cut off the little pick from the birthday candle holder and glue the holder on to the top of the unicorn. 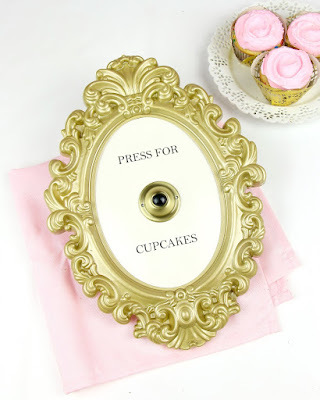 Once it has dried, spray paint and let dry before using.